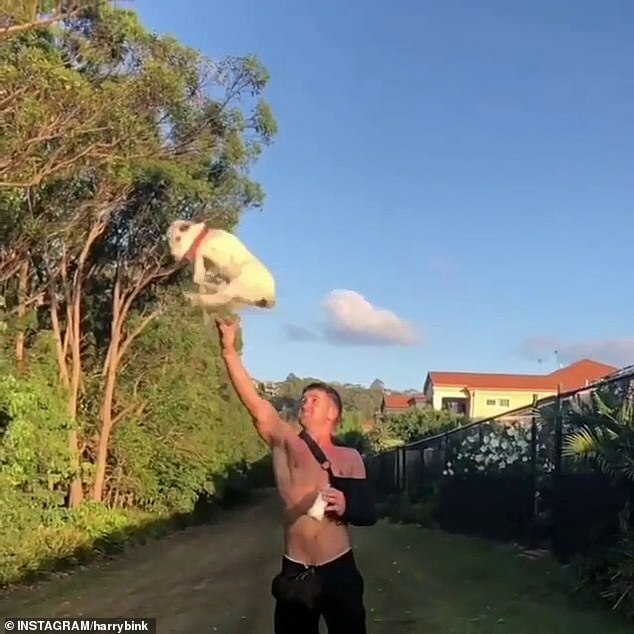 A motocross rider who came under fire after footage of him hurling his pet goat in the air was shared on social media has defended his actions. 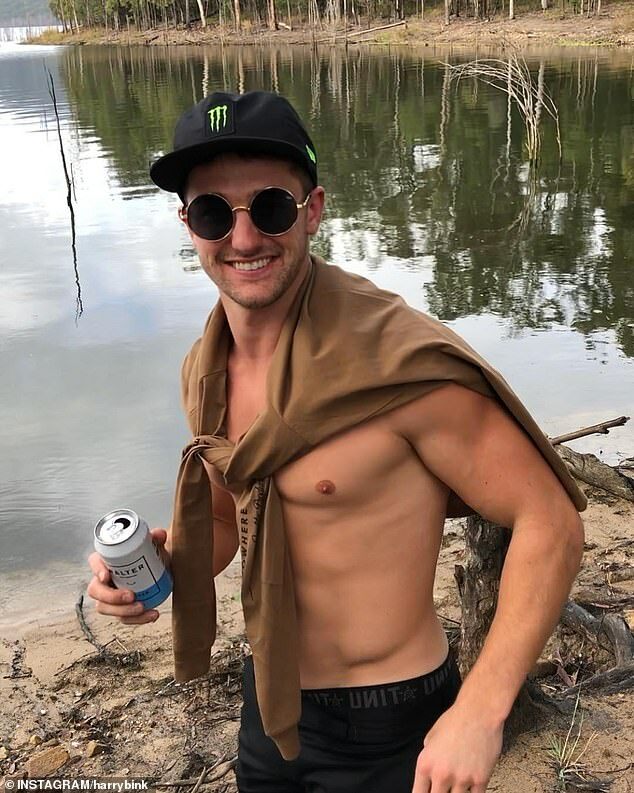 Gold Coast-based extreme athlete, Harry Bink, removed the controversial footage from his Instagram account shortly after it was posted to his 129,000 followers last week. 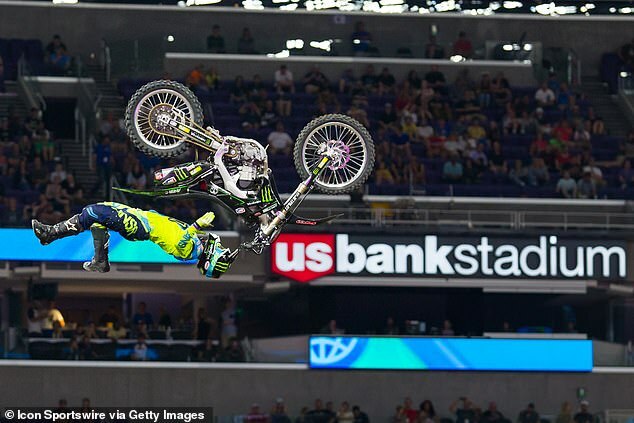 The Nitro Circus rider defended the stunt, saying he loves his pet goats, named Billy and Tilly, and was only ‘mucking around’, imploring critics to ‘give me a break’. But despite his insistence that he’s an animal lover, Bink is now the subject of an RSPCA investigation into animal cruelty. In a remorseful post to social media, Bink reiterated that he loved his pets. ‘I love my goats, I spend a lot of time with them, so I find it pretty offensive when everyone is saying that I am a goat abuser. ‘I was playing with my goats and I was mucking around, I threw it in the air, I caught it, I put it on the ground. It wasn’t harmed. Animal rights activists slammed the post, repeatedly calling him abusive and threatening action. 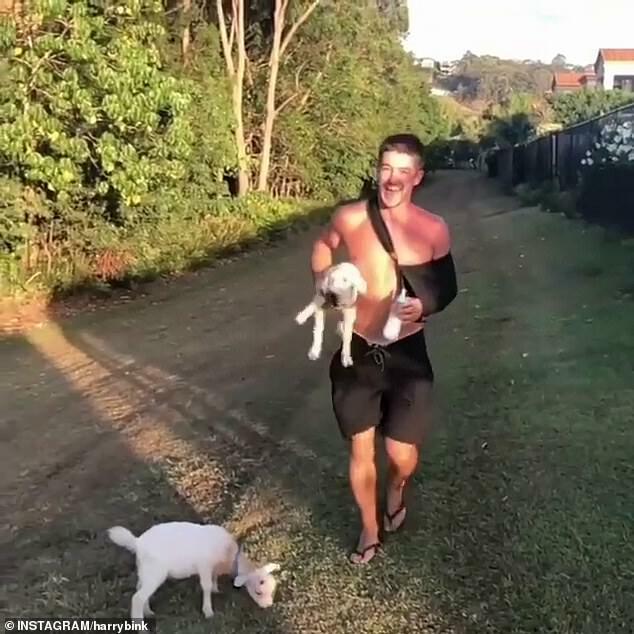 RSPCA Queensland’s Michael Beatty confirmed to Daily Mail Australia and investigation was underway, though he didn’t view the act as ‘serious’ animal cruelty. ‘It was just a pretty stupid thing to do,’ Mr Beatty said. ‘It’s a shame because he’s obviously a role model to a lot of people. ‘I don’t think he was setting out to be cruel or anything, just a stupid thing to do,’ Mr Beatty said. The video itself is a compilation of Bink’s escapades and often dangerous stunts with his two pet goats. In one clip, a goat is squeezed into a bucket on the front end of a bike as it is cycled down a road. ‘Good morning guys I just woke up to a lot of bad comments on Instagram, emails, calls off people that I work with. ‘And I just wanted to make it really clear that I don’t abuse my goats. I’m an owner of two goats. I really enjoy my time with them, I spend a lot of time with them as I’m injured. I’ve been watching documentaries and stuff on them to learn more about them and I teach them tricks and what-not. I probably spend nearly eight hours a day with them. ‘A lot of people are saying that I abuse my goats, I love my goats, I spend a lot of time with them, so I find it pretty offensive when everyone is saying that I am a goat abuser. I was playing with my goats and I was mucking around, I threw it in the air, I caught it, I put it on the ground. It wasn’t harmed. Obviously, I appreciate all your comment and feedback guys, I apologise not to you guys but to my goats. ‘They didn’t seem scared at the time but I appreciate the feedback and it’s not gonna happen again. Apologise. I just want the best for my goats and I really enjoy my time with them, but give us a break. Stop tagging all me sponsors and stuff, it’s not cool. I guarantee most goats get locked up on a farm and get looked at once or twice a day. I spend all day with these things, teach them stuff, so yeah I’m, I apologise but yeah give us a break, go easy on all the comments, stop tagging all my sponsors and stuff, it’s not cool.